Uttar Pradesh Education Board is going to declare the final results of UP B.Ed Results 2014 and will be published very soon on its official website upresults.nic.in and upbed.nic.in. UP B.Ed 2014 Examination was conducted successfully on 20 May, 2014 by Bundelkhand University, Jhansi, Uttar Pradesh. This is the joint entrance exam to select candidates for the admission in Bachelor of Education (B.Ed) programme offered by the Government and other self financing colleges and universities within the state. There are large number of candidates appeared in this examination every year to get the admission in B.Ed Courses. Uttar Pradesh is very large state having million of candidates who appeared in the state examinations. UP B.Ed Results 2014 is likely to be declared online on or after the 2 June, 2014 on the official website of UP Result portal – upresults.nic.in. You can also visit the direct link provided below to check your exam result online. There is no need to search anywhere else because we will provide a direct link of main server where you will be able to check your UP B.Ed Results 2014 very easily just enter your application number and date of birth (if required) and click on the submit button. 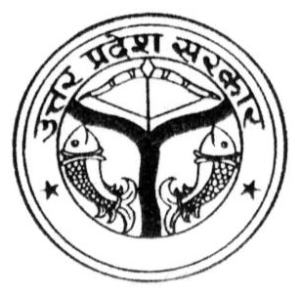 Uttar Pradesh B.Ed Entrance Exam 2014 was conducted on 20 May, 2014 and according to the pre-schedule, it is expected that the UP B.Ed Results will be announced on 02.06.2014. The counselling is scheduled to be held in between 7 June to 2 July, 2014 while the last date to get admission after counselling is 5 July, 2014. The UP B.Ed Academic session will starts from 07.07.2014. How To Check UP B.Ed Results 2014 Online upresults.nic.in? All the candidates appeared in the Uttar Pradesh B.Ed Joint Entrance Exam 2014 will be able to view their exam results online once results have been declared on the official website upresults.nic.in. Enter your Application Number and date of birth (may be optional) and check your marks obtained. Download and Print the marksheet for the further process of admission. For more details and references, you can also visit the official website of UP B.Ed Exam Department- upbed.nic.in. Mostly, exam authorities provides their exam updates on this site. Good luck for UP B.Ed Results 2014.